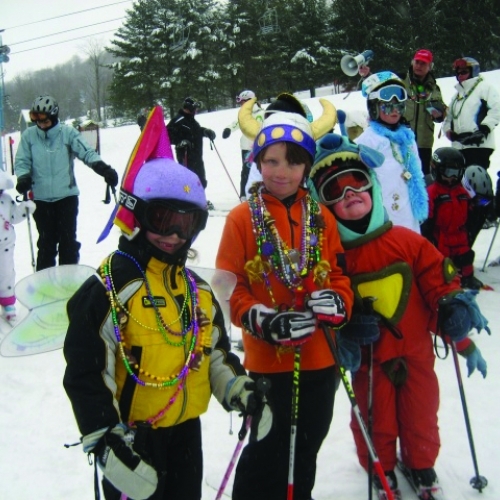 For nearly 50 years, families and snowsport enthusiasts from miles around, have converged on HoliMont - North America's largest private ski area devoted to family skiing adventures. Generations of members have been drawn in by the amazing skiing, only to fall in love with the warm community atmosphere in Ellicottville that makes HoliMont the kind of place you never want to leave. HoliMont's 700 vertical feet of wall-to-wall, top-to-bottom snow guarantees a great run every time. During the week, non-members are welcome to enjoy eight lifts servicing over 50 slopes and trails, as well as the Terrain Parks and Halfpipe. You'll also find 3 miles of groomed cross country/snowshoe trails! So whether you're a member or visitor, HoliMont will make your winter come to life. HoliMont also has conference, reception, meeting and reunion spaces holding up to 250 people. Booking time requirement is 2 weeks. Their restaurant is available for breakfast, lunch and dinner. Parking lot will accommodate 300+ cars and there is plenty of lodging within one mile.